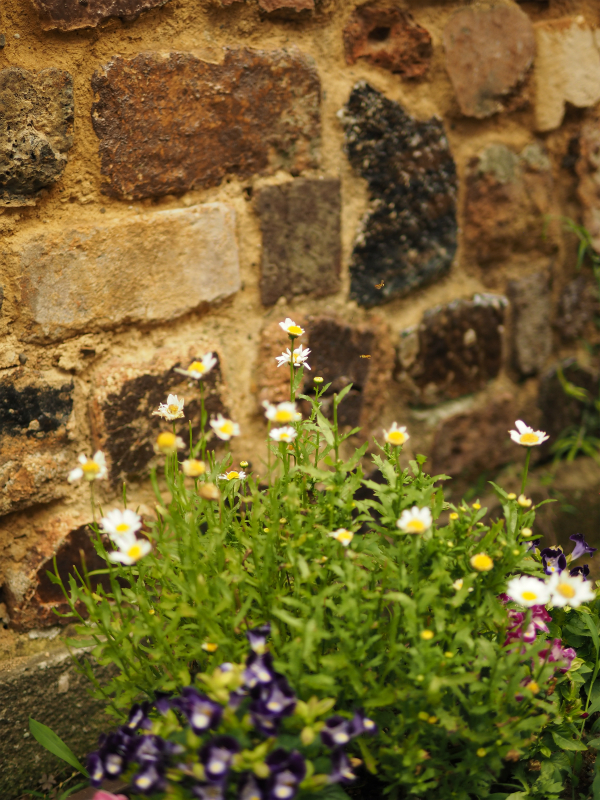 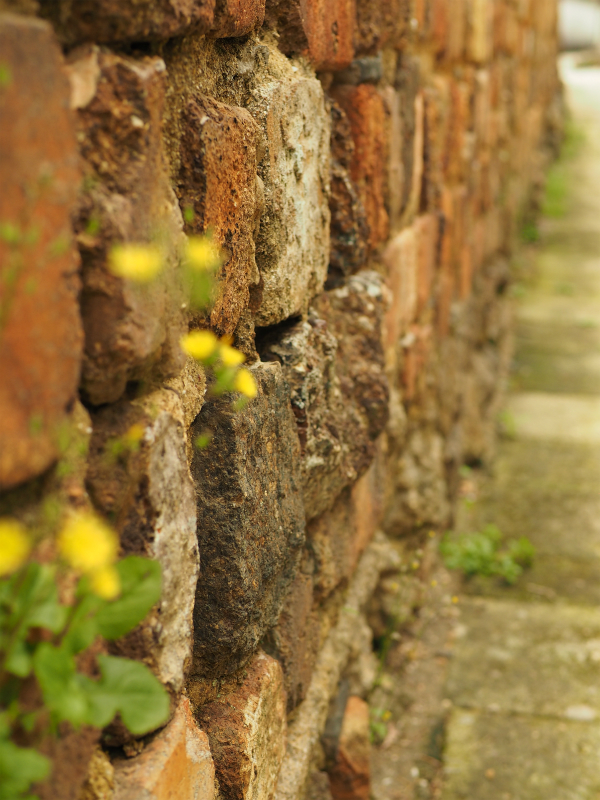 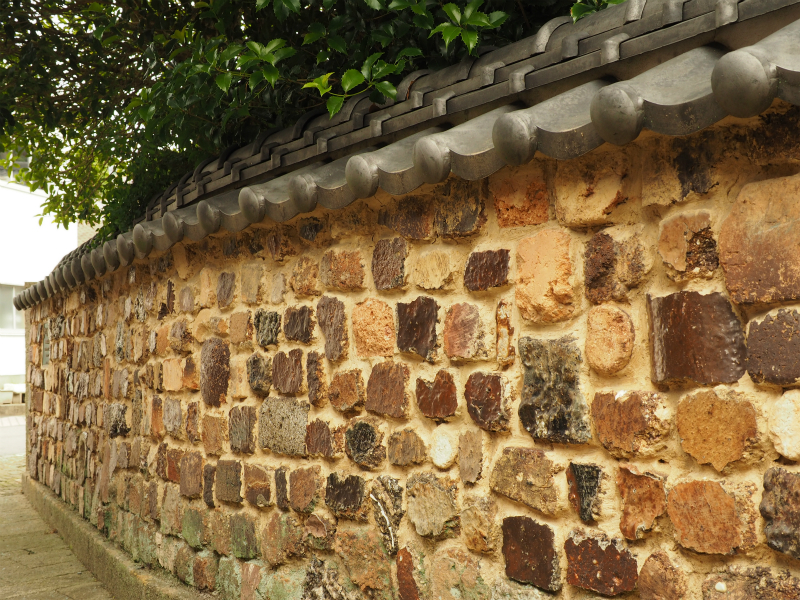 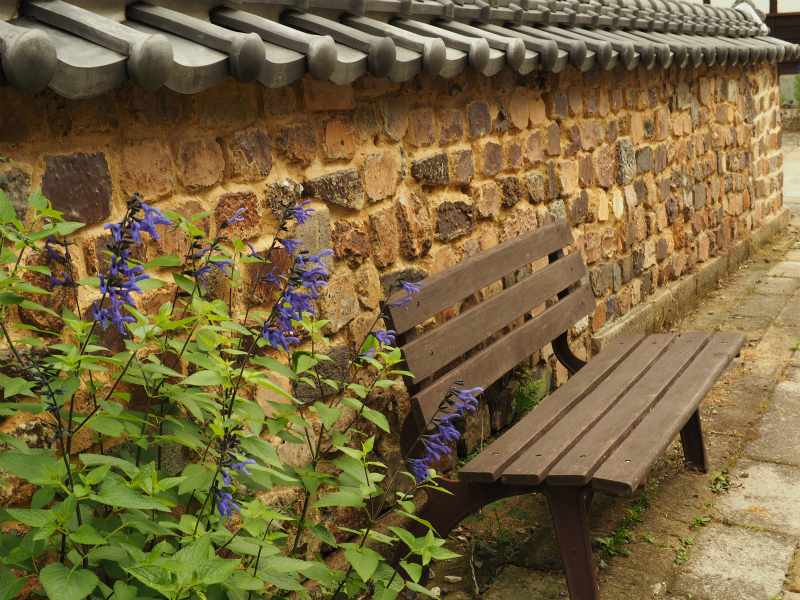 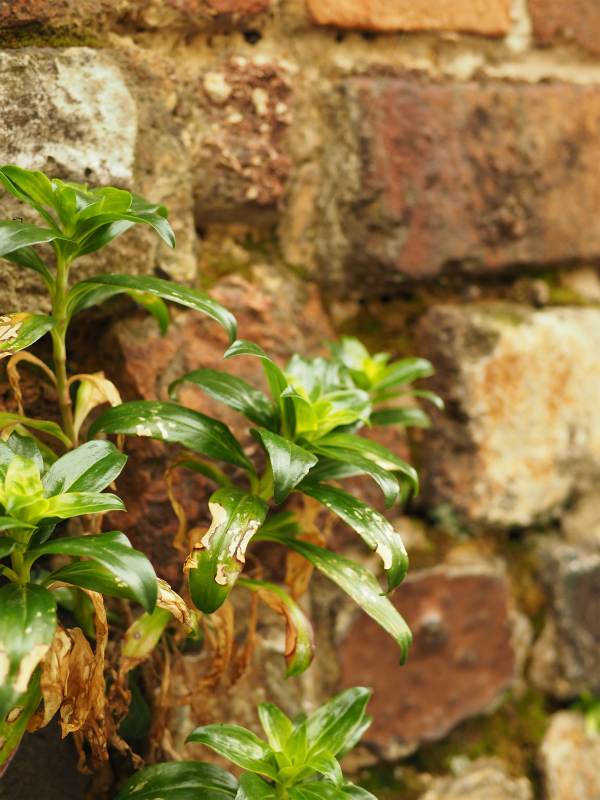 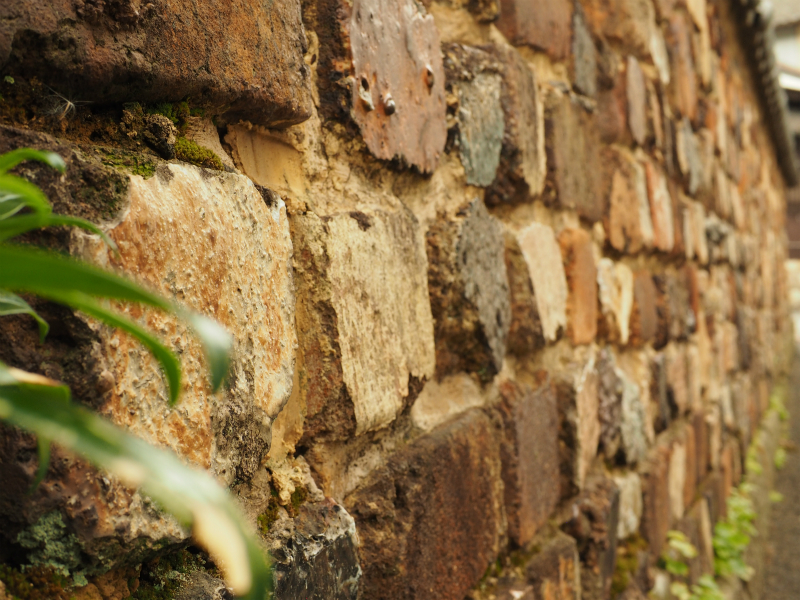 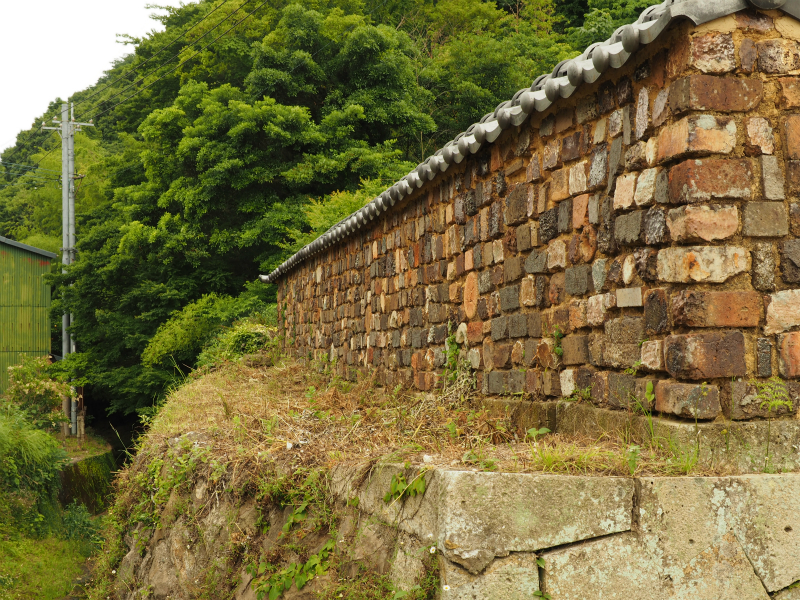 The earthen wall that re-unilizes fire bricks or old kiln-ware is called a “Tonbai Wall”. 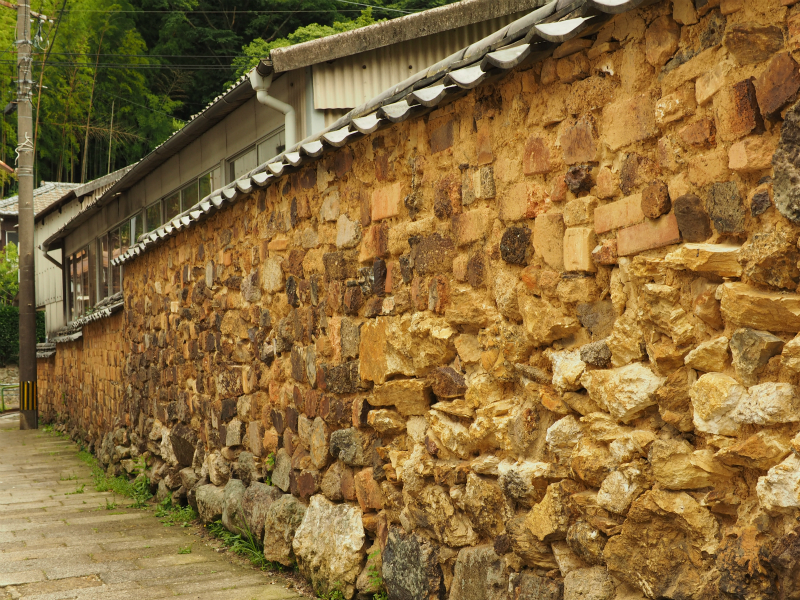 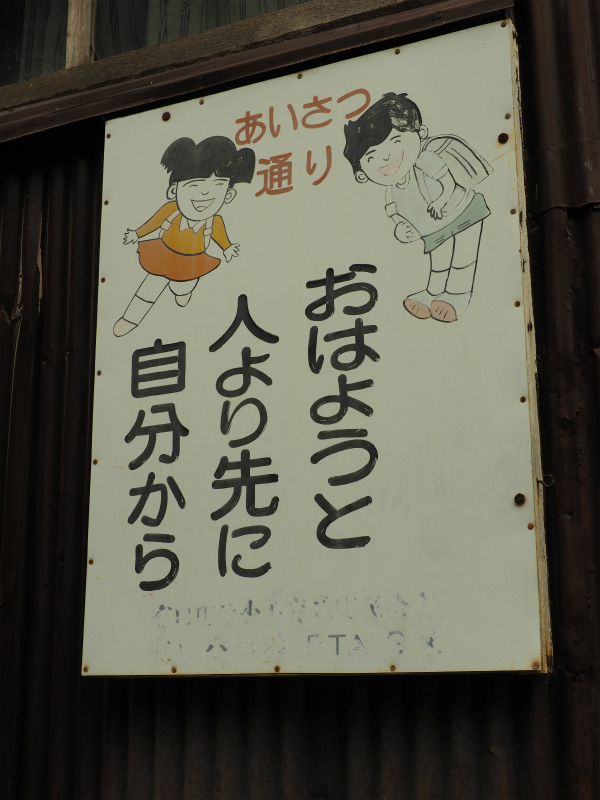 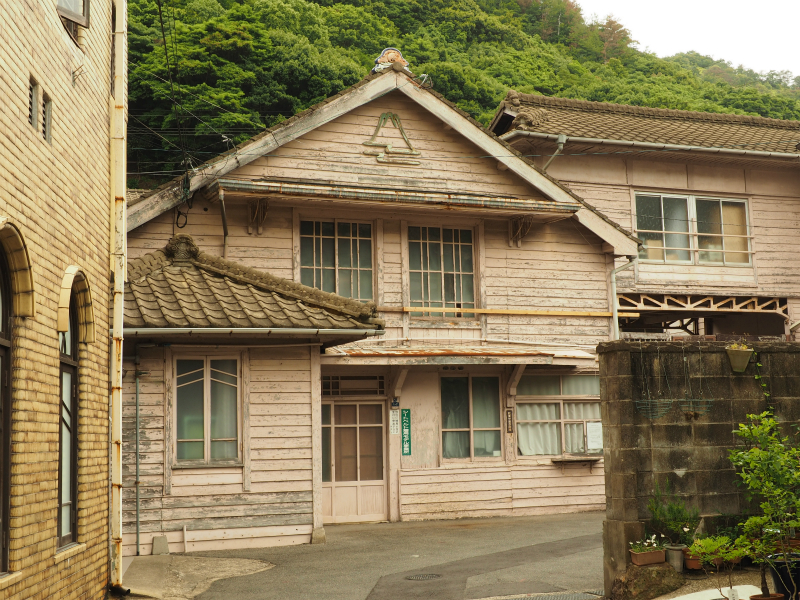 “Tonbai” means a fire brick that is used for the kiln wall. 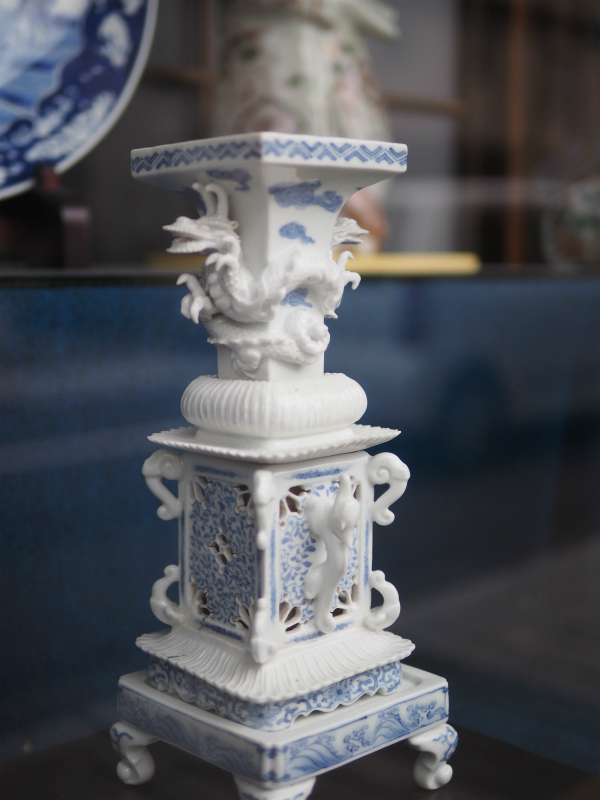 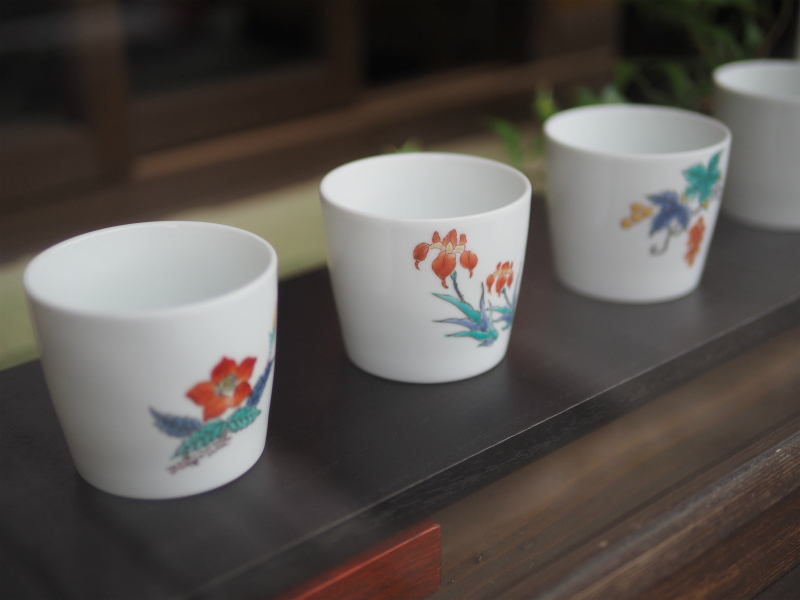 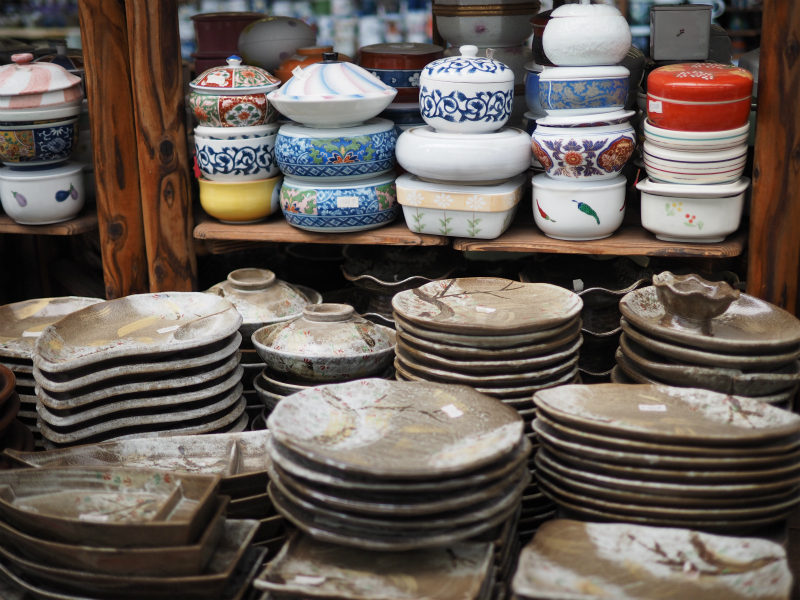 It is heated to a high temperature in the kiln and has a nice tint that in made by various pottery colours adhering. 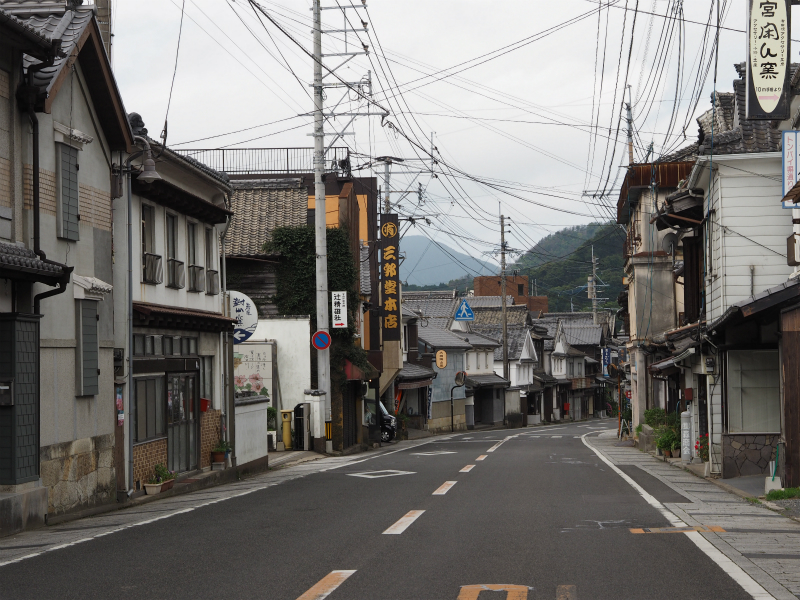 That os a scene peculiar to Arita. 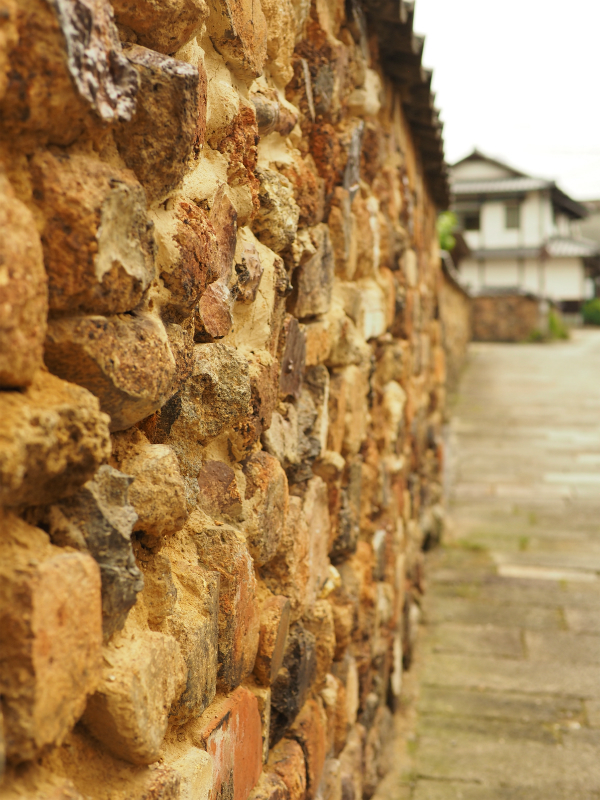 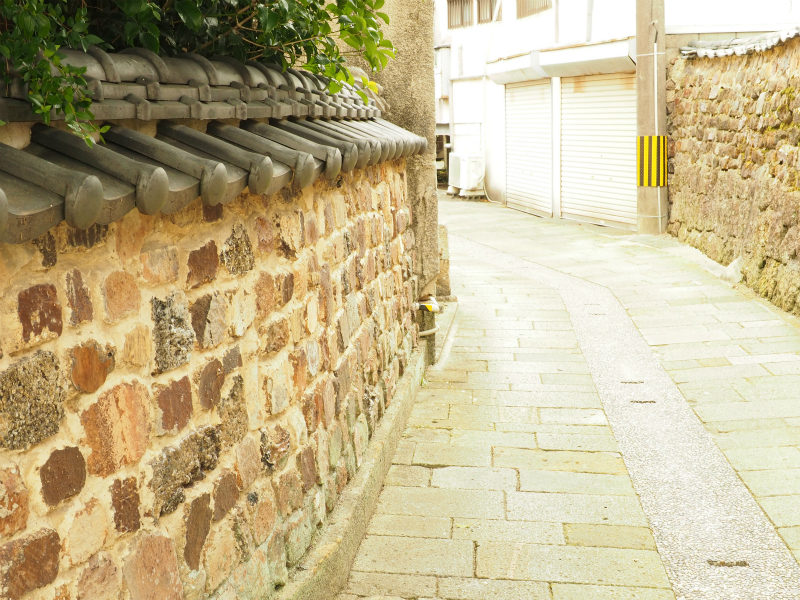 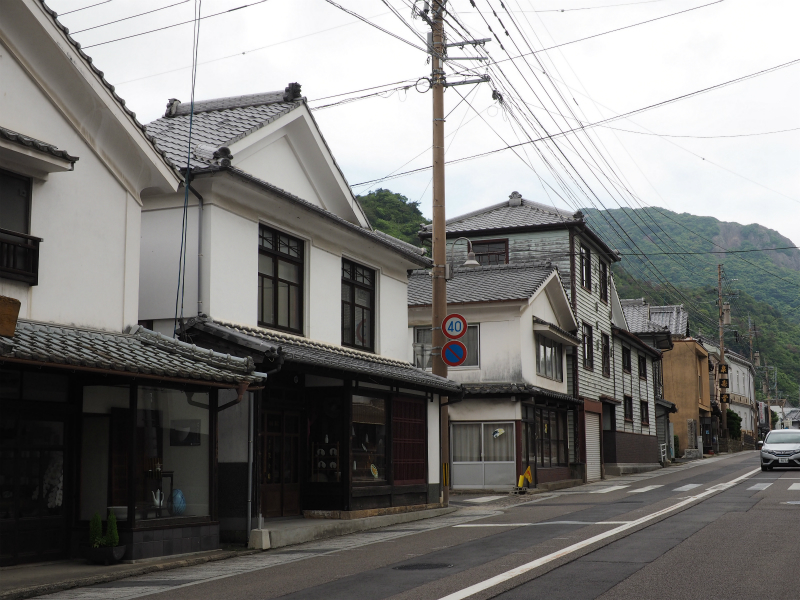 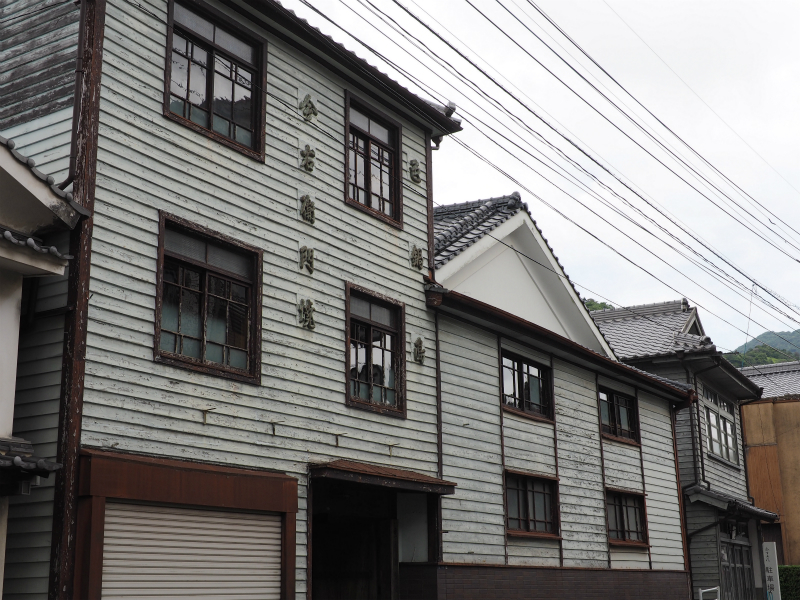 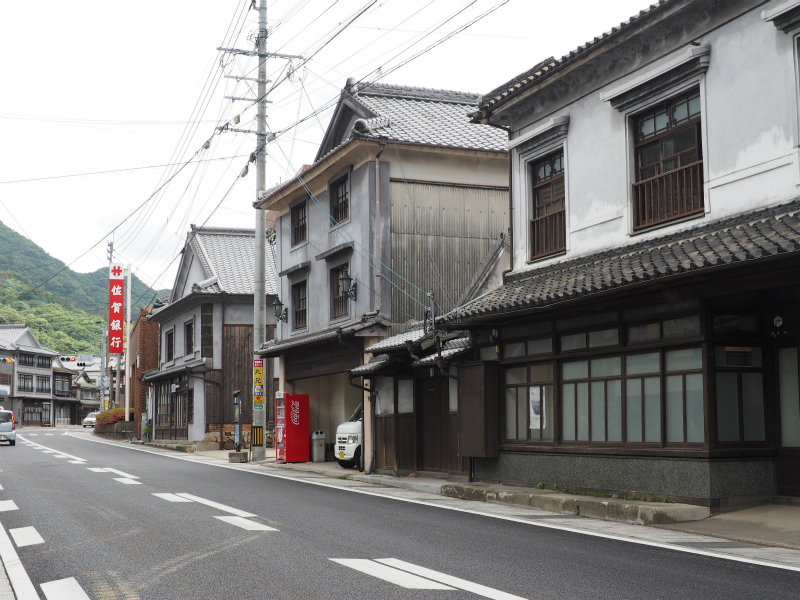 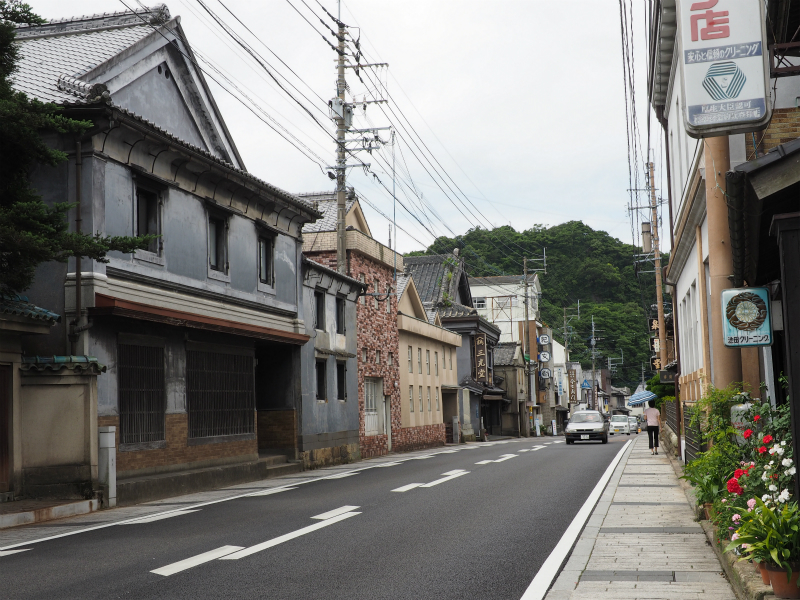 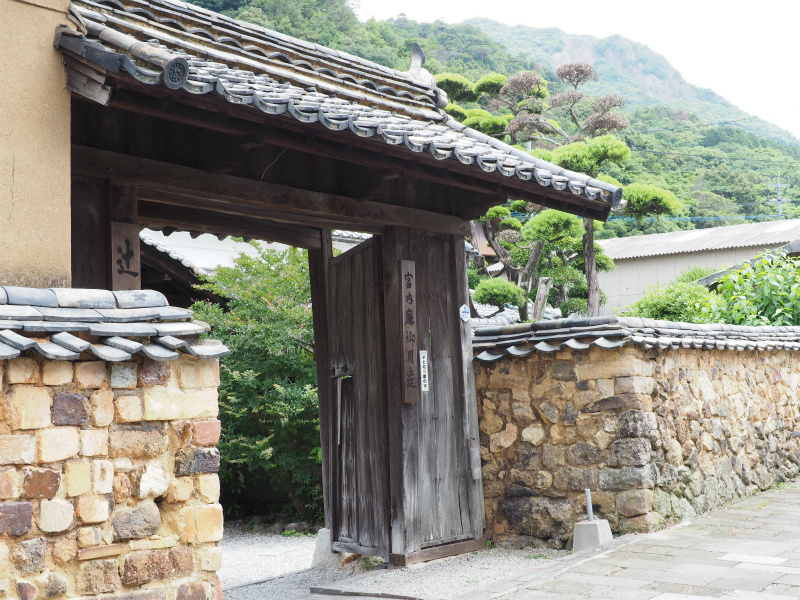 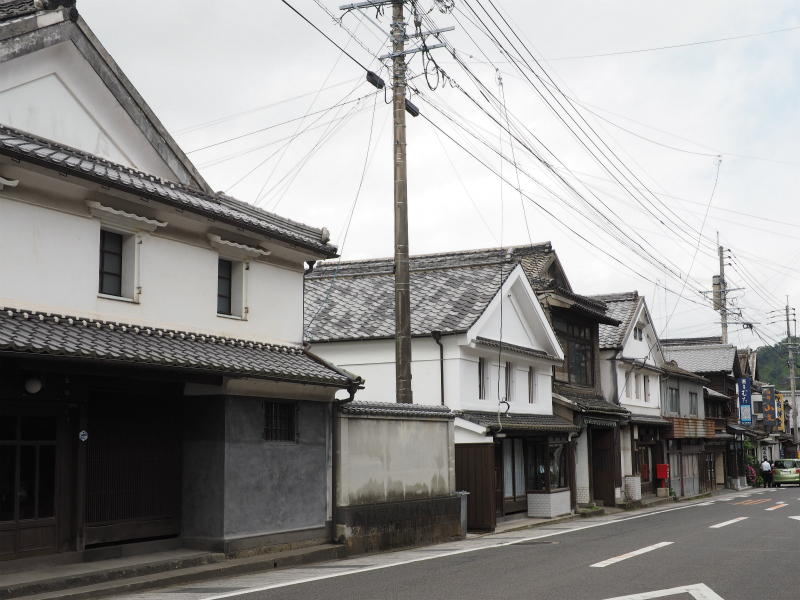 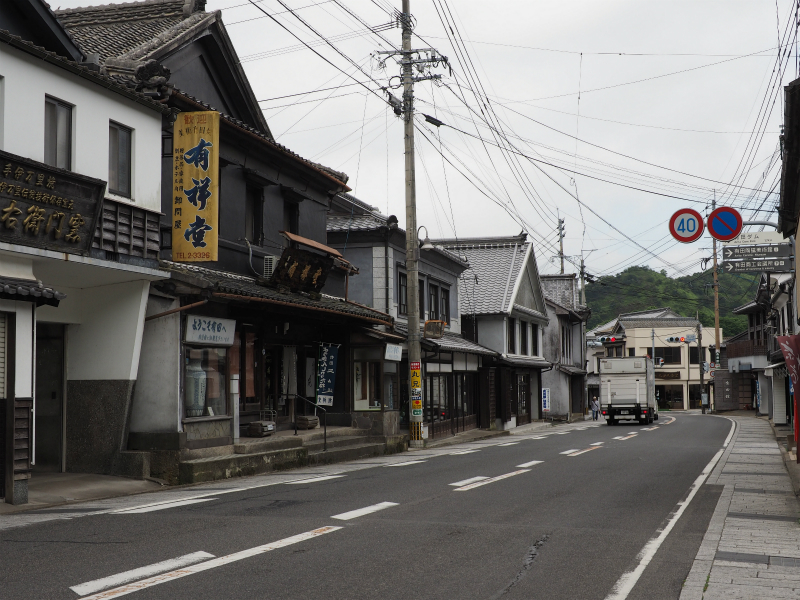 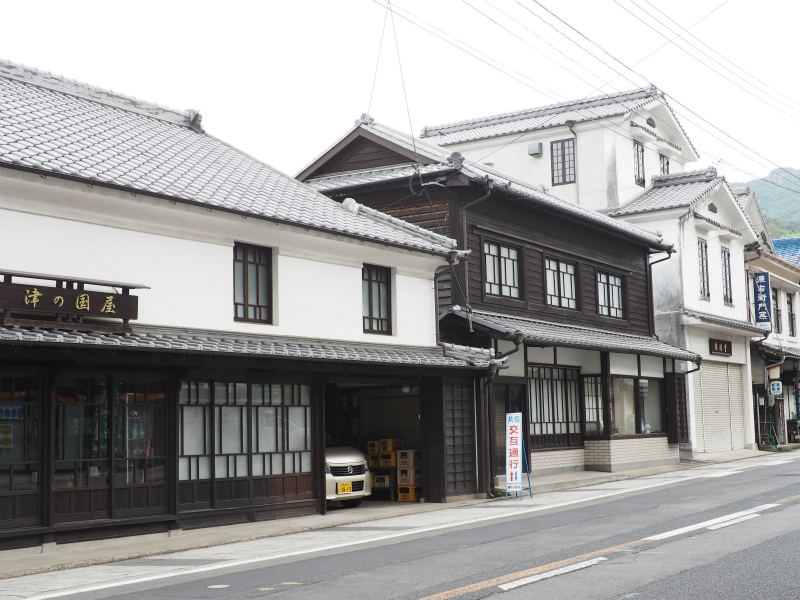 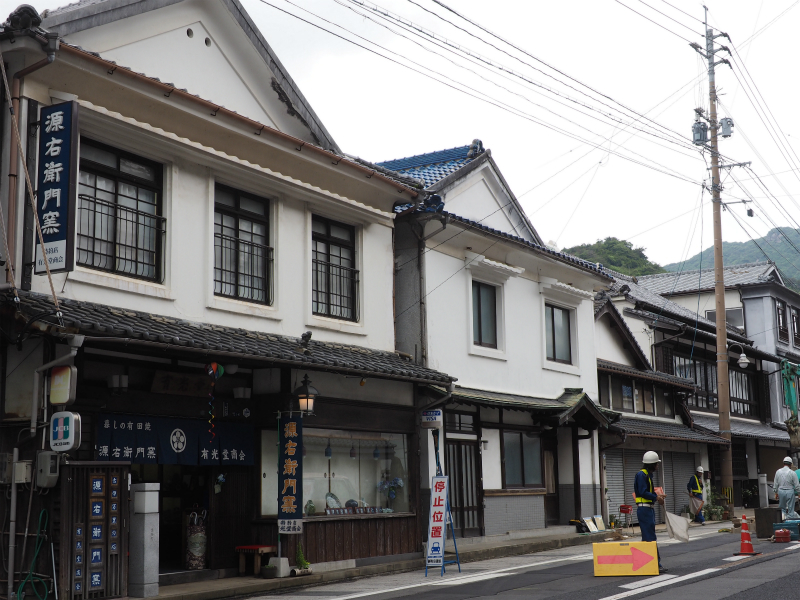 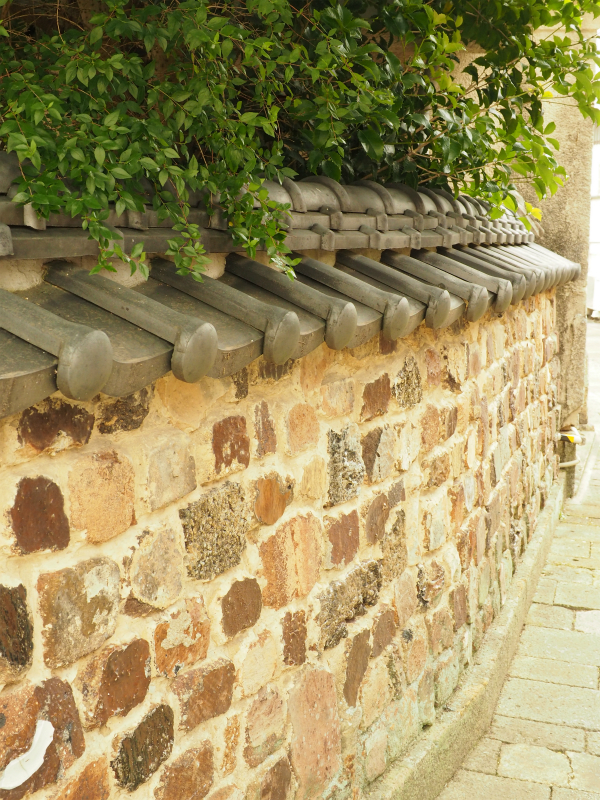 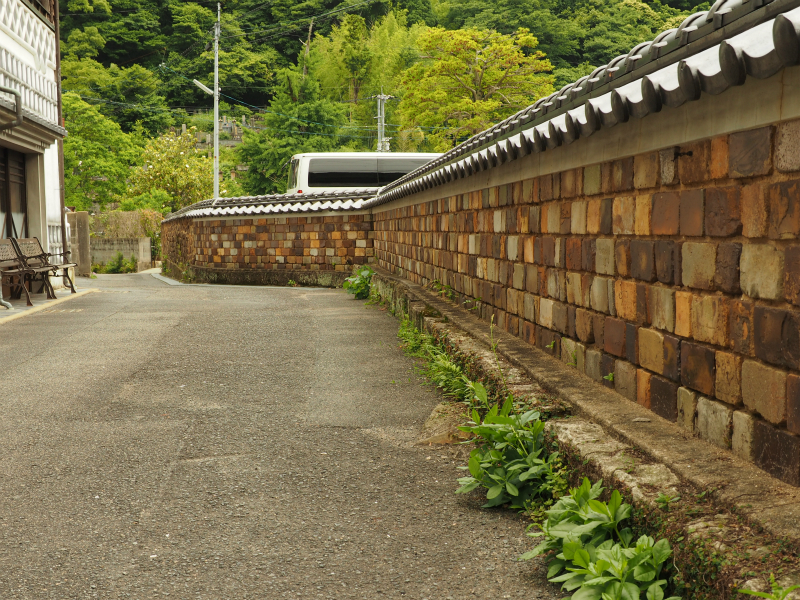 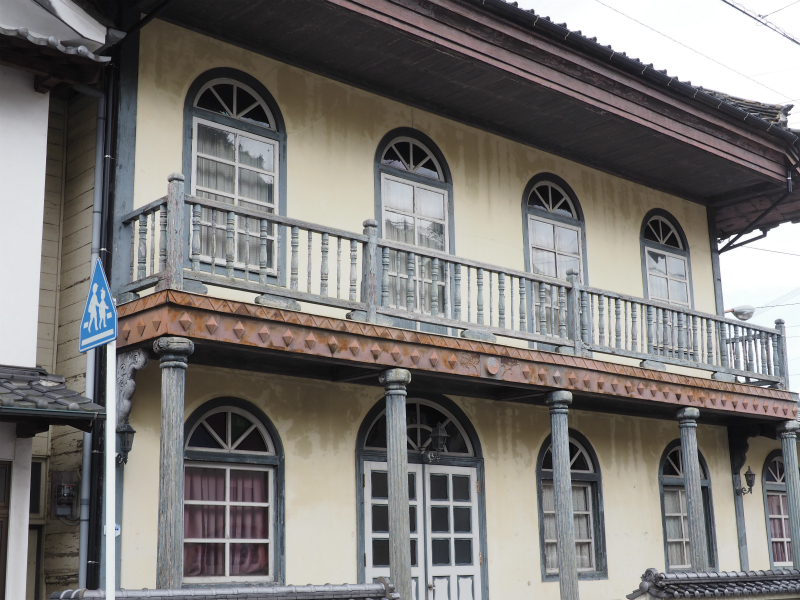 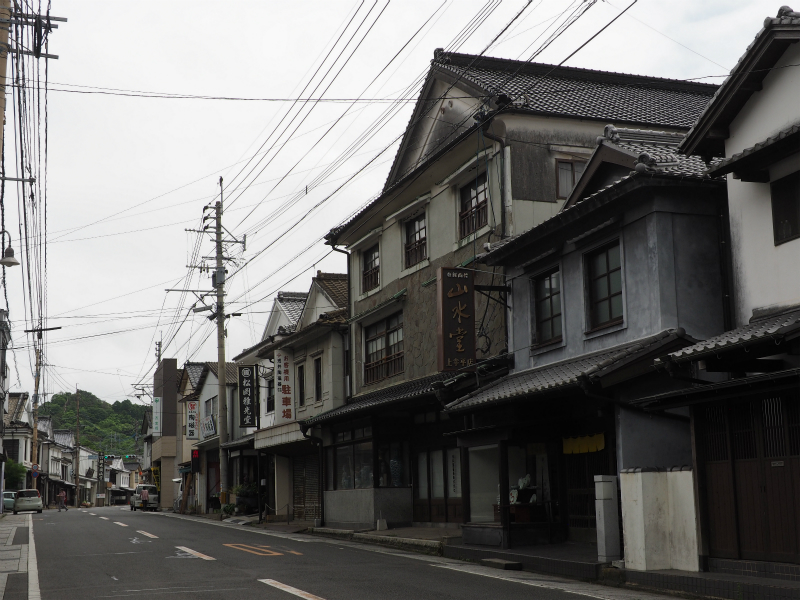 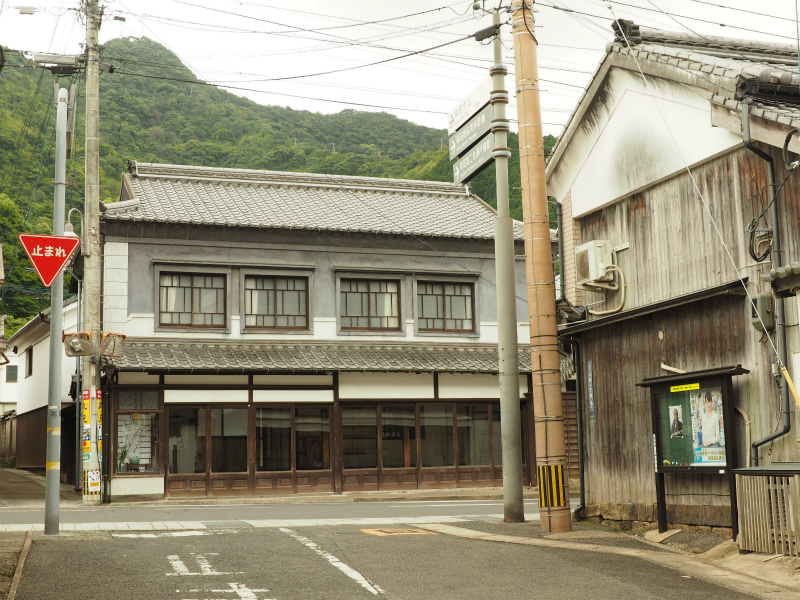 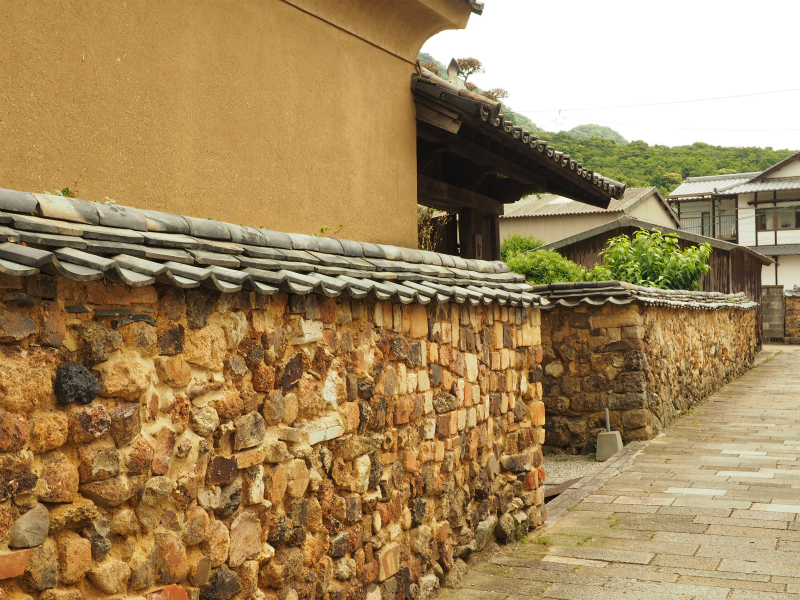 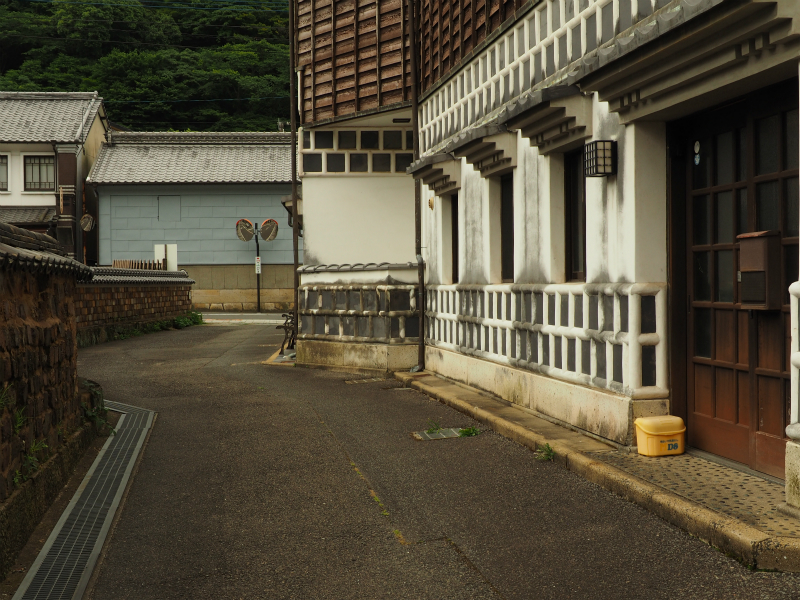 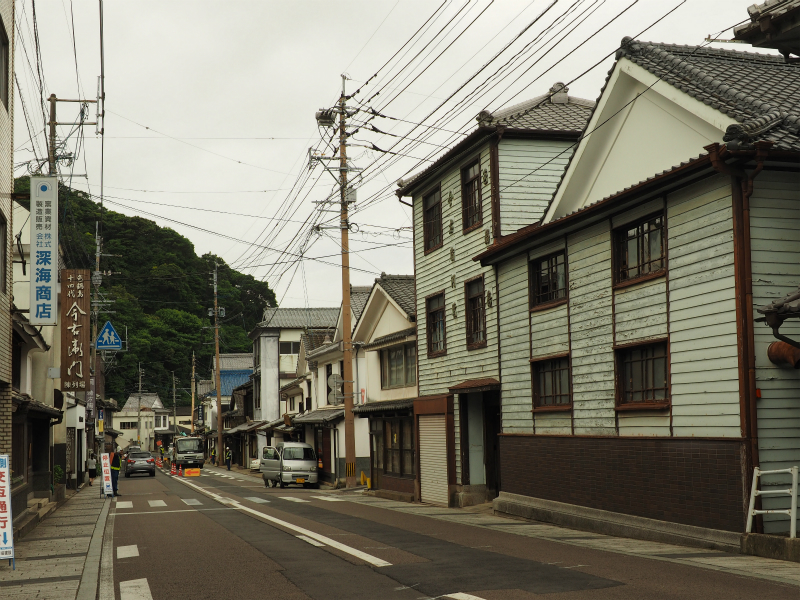 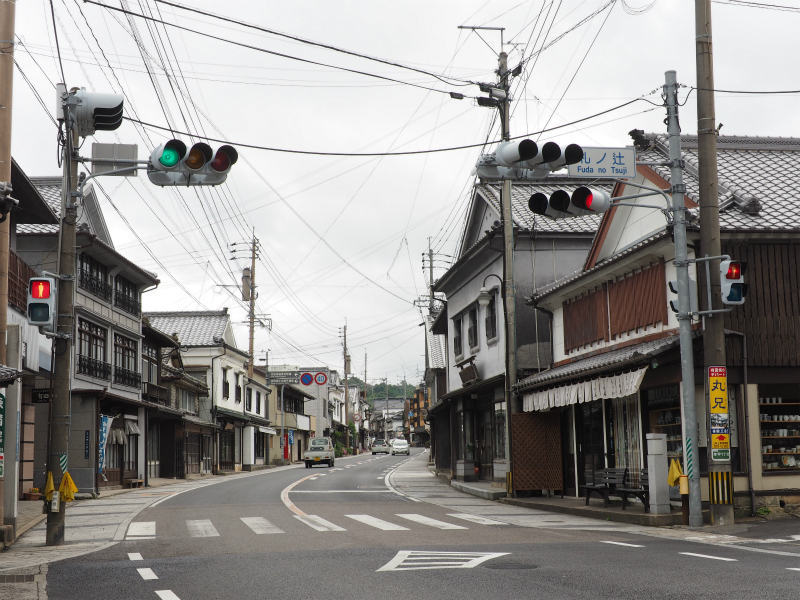 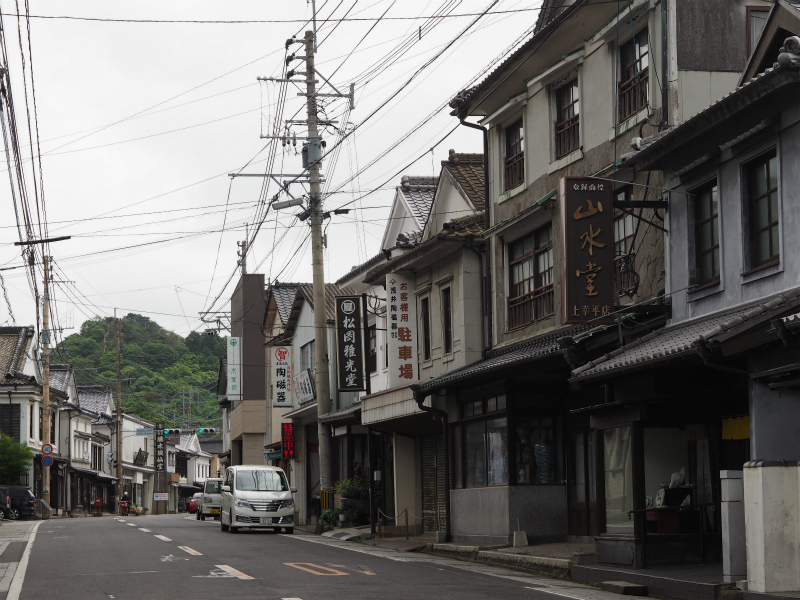 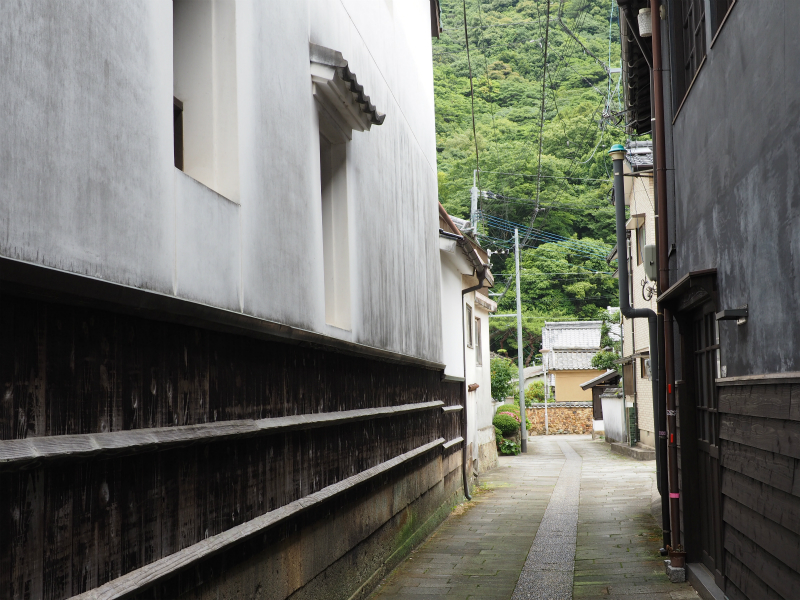 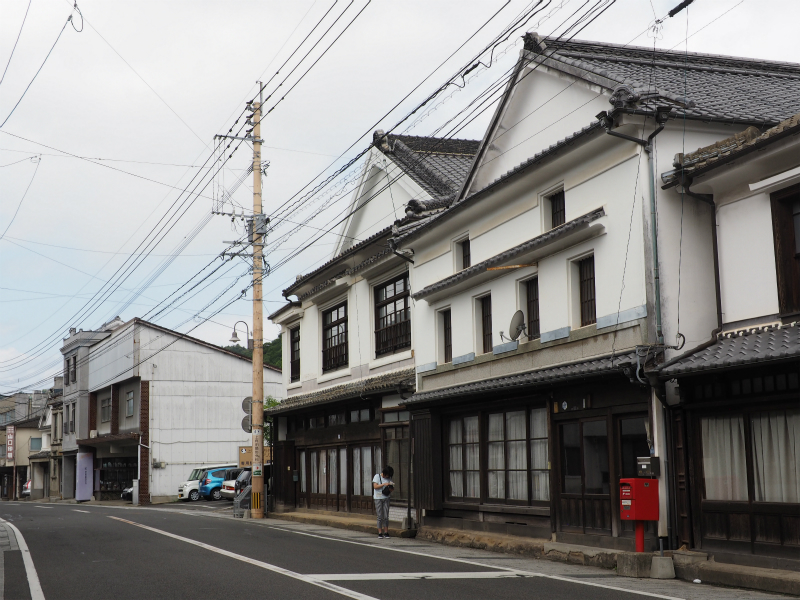 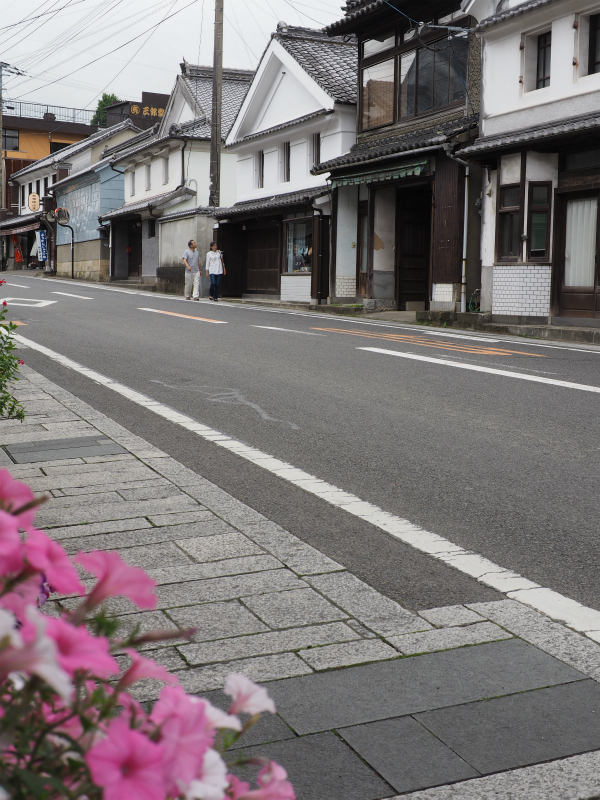 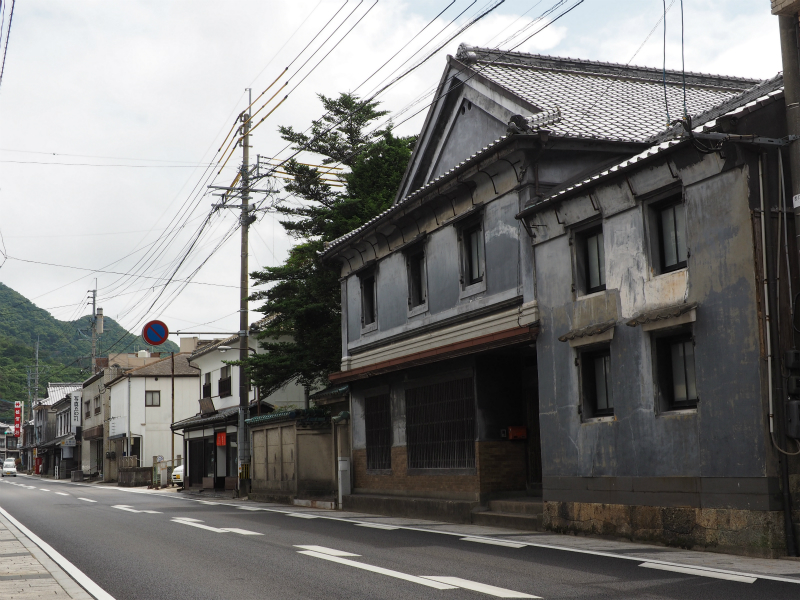 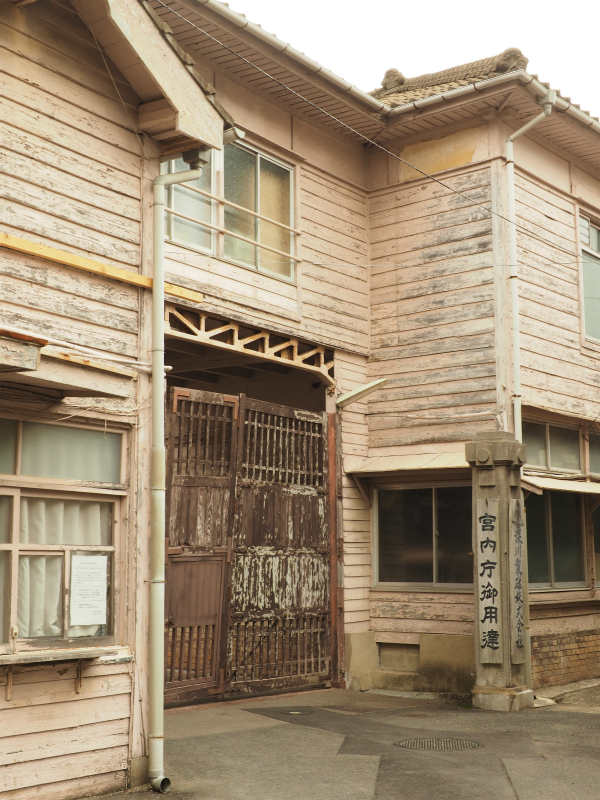 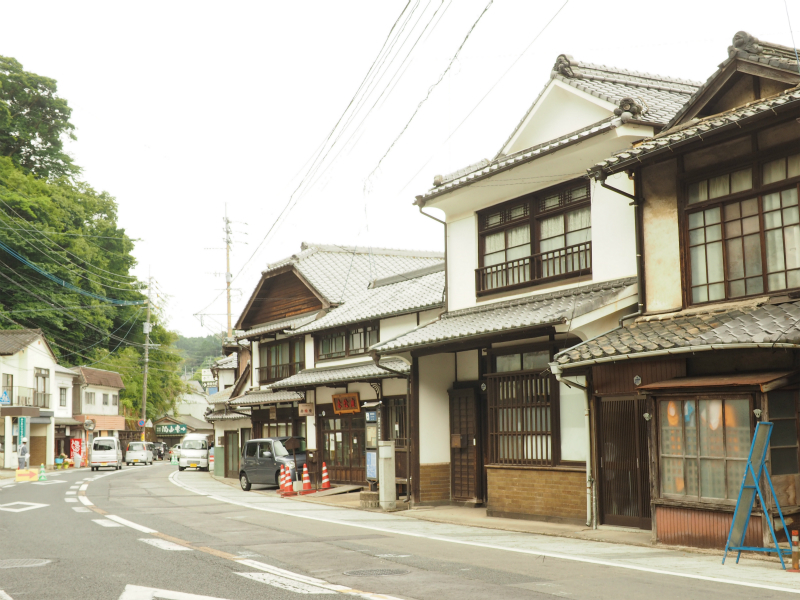 Tonbai Walls are though to have been built in the Edo era. 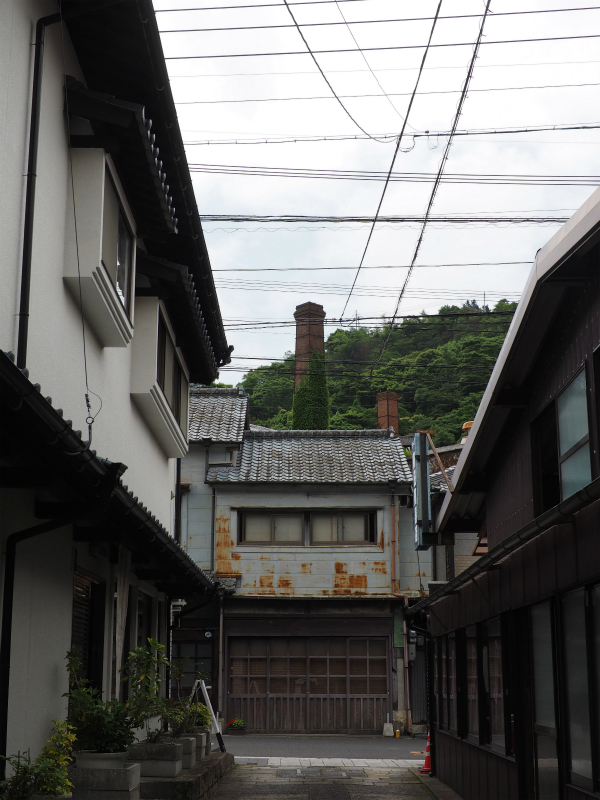 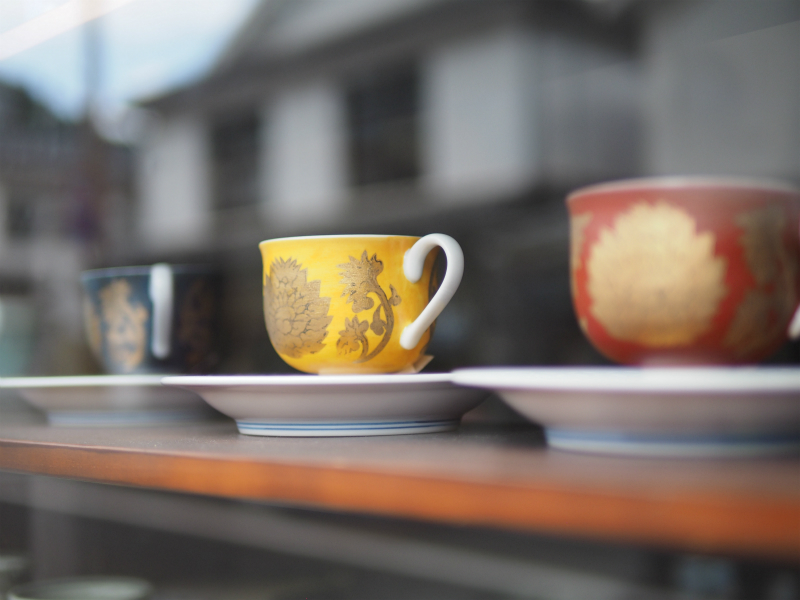 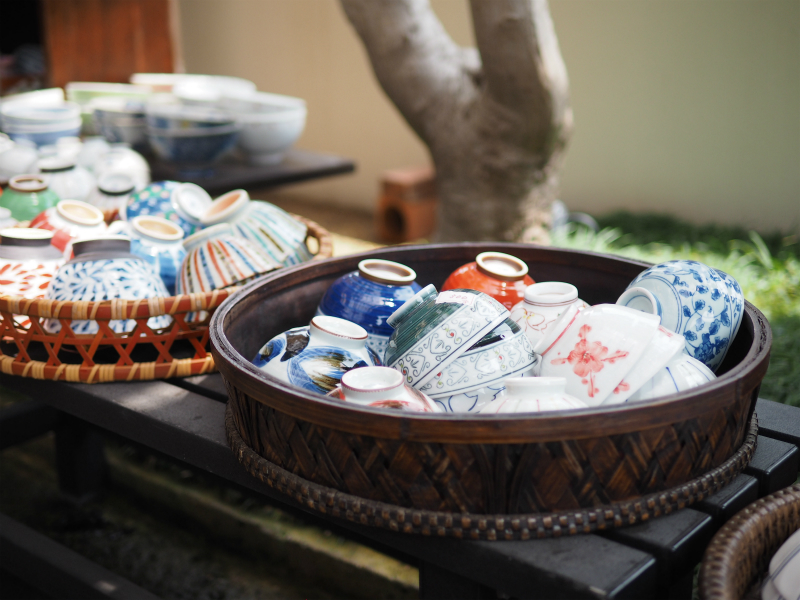 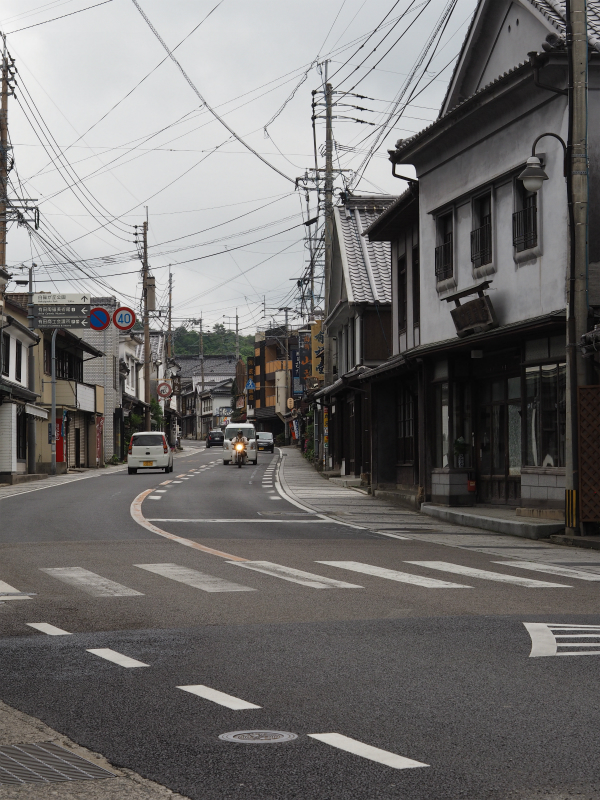 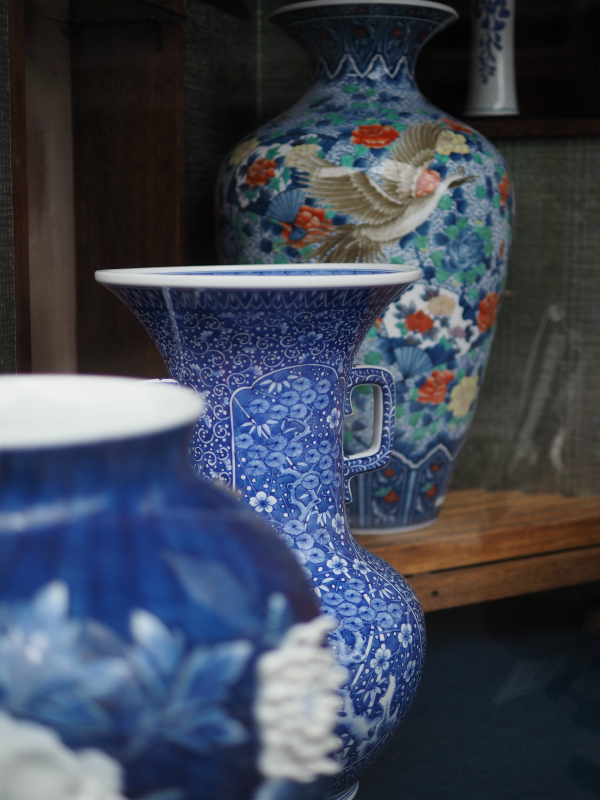 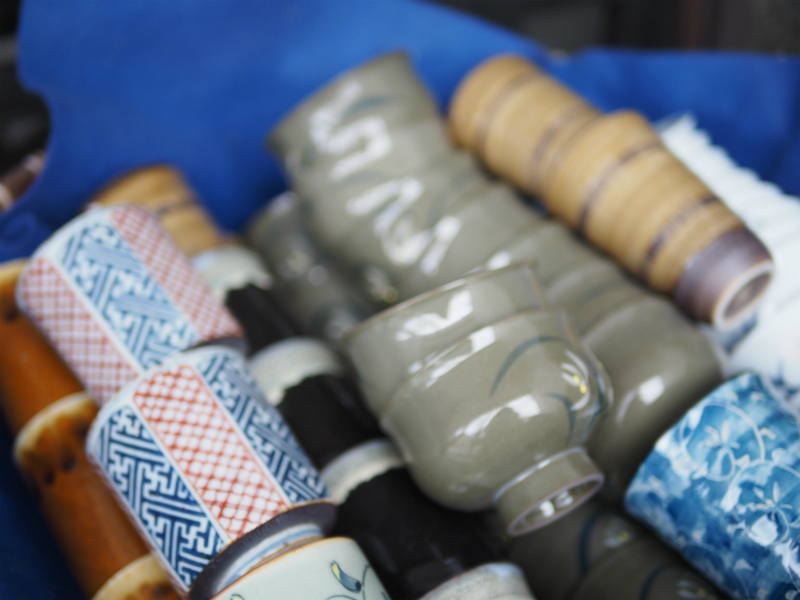 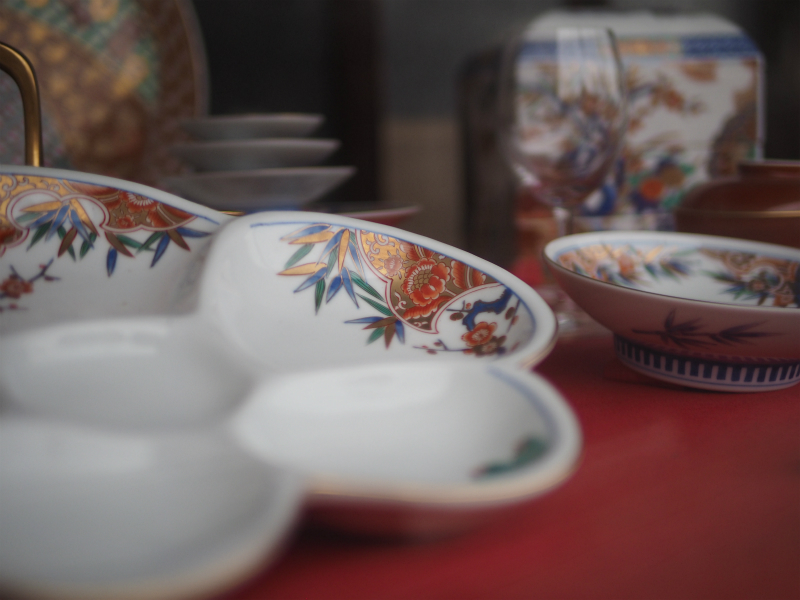 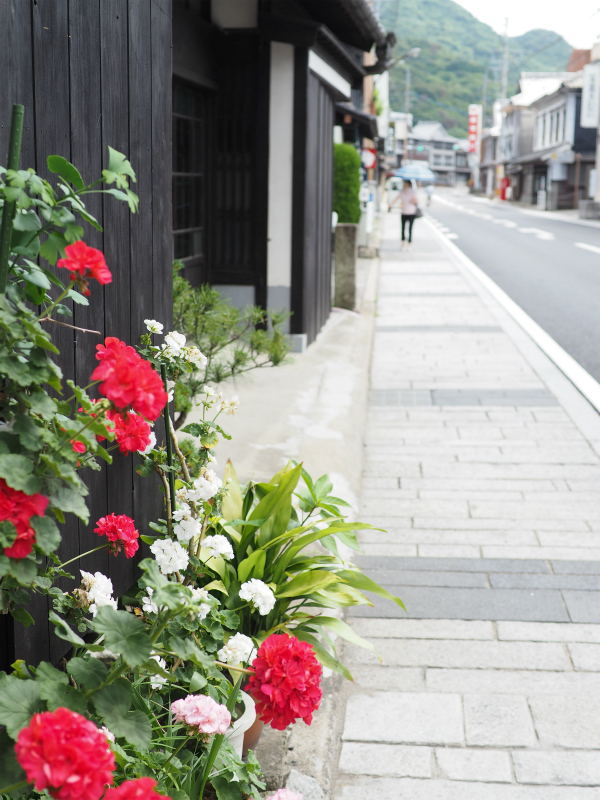 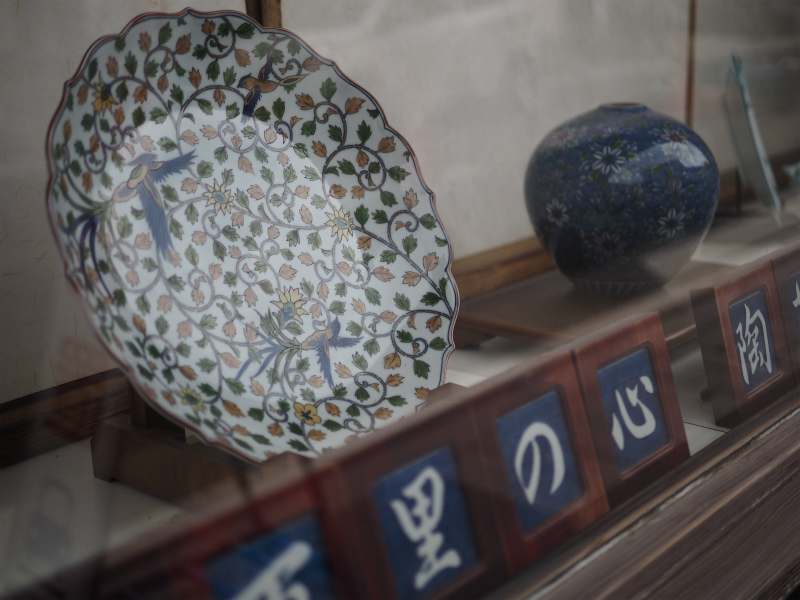 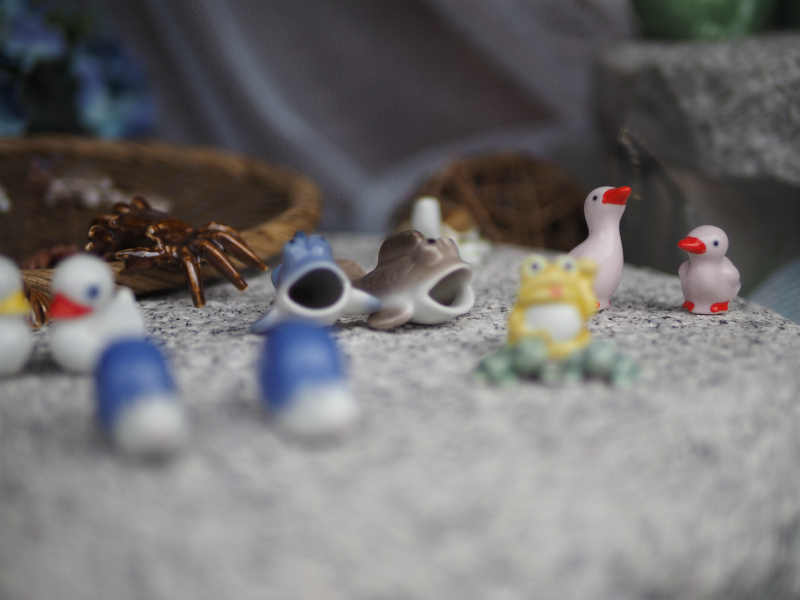 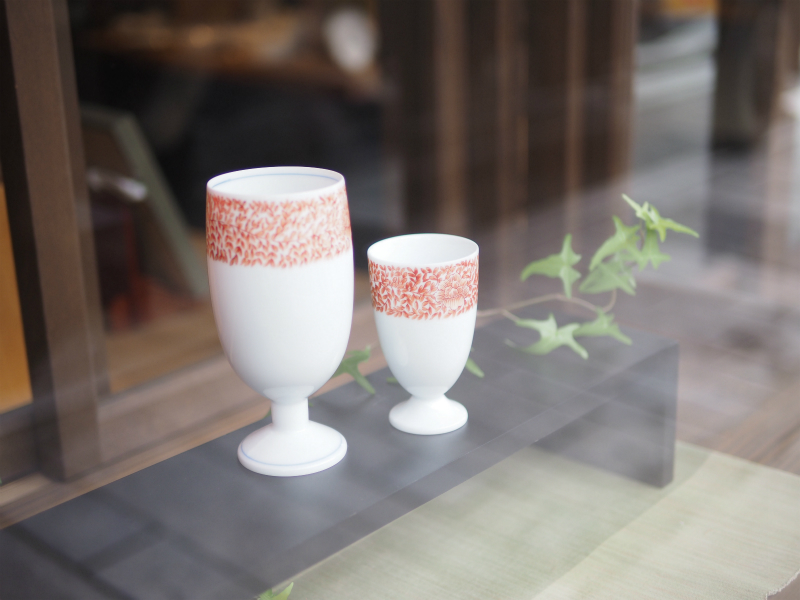 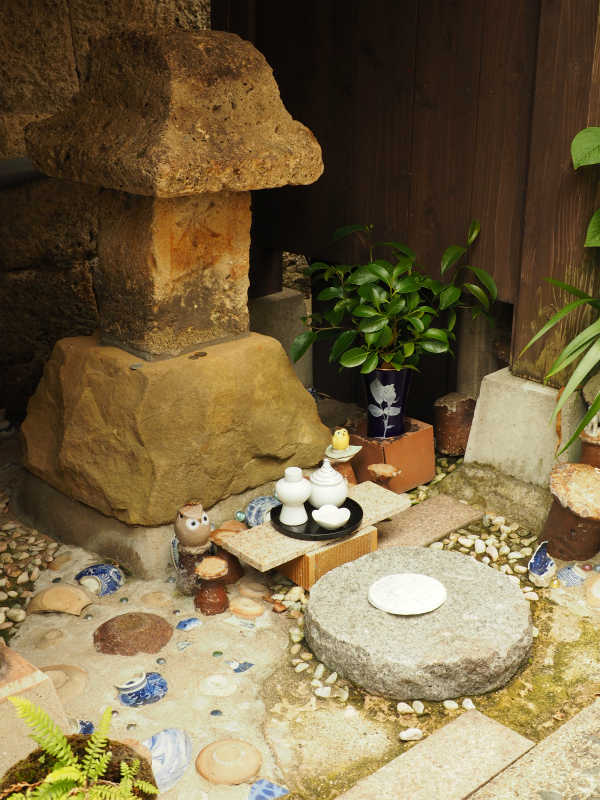 We can see them everywhere in Arita, especially along the alley which run from the Arita Ceramic Museum at Odaru to the Big Gingko Tree at Izumiyama. 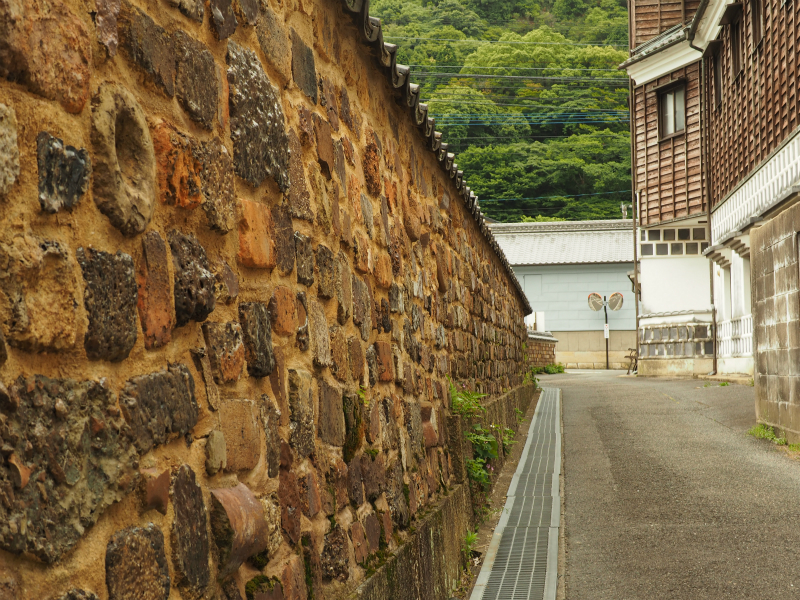 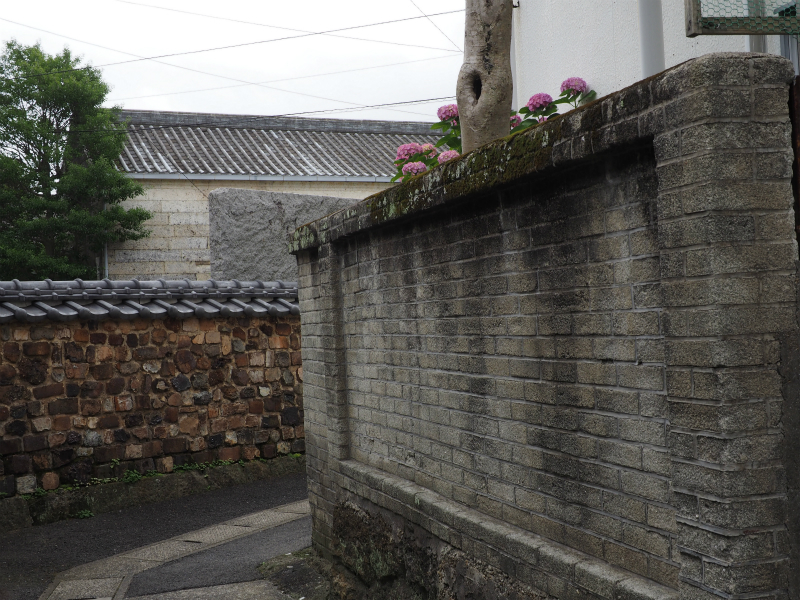 We call this street “the alley with Tonbai Walls”.